Fish Family Fridays at Swings N Things! 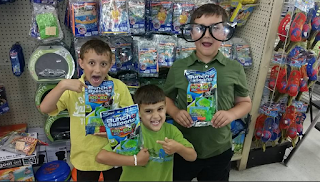 Fish listeners get great deals when purchasing KARTS PLUS PASSES for Swings-N-Things, online for $24.99 at http://store.sntfun.com/retail/THEFISHTANK, that’s a savings of $6.00 per pass!! The passes can be used any day of the week, BUT if you use your pass on a Friday, during Fish Family Friday’s, you will get a chance to save even more!! 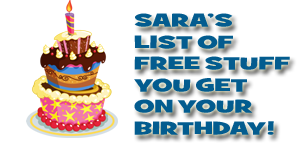 - FREE UNLIMITED BATTING – savings of $8.99 per person. My boys have been asking me for more fruit the past few days so when I popped into Marc’s this week I was so happy to grab some deals on fruits and veggies. Here’s my weekly shopping trip and best of all I got it all for under $25! I’m so excited about my find at Marc’s this week! I found two great deals in closeouts and one was a FREEBIE! Here’s what I got all for under $25! Keep in mind that you can score these deals too through 8/4. 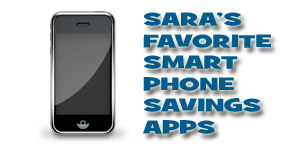 Tune in on Friday mornings at 7:45 am to the Len and Sara show on 95.5 The Fish to hear me chat about my weekly shopping trip! As a part of the 95.5 Fish Mom Squad, I’m here to help you save! 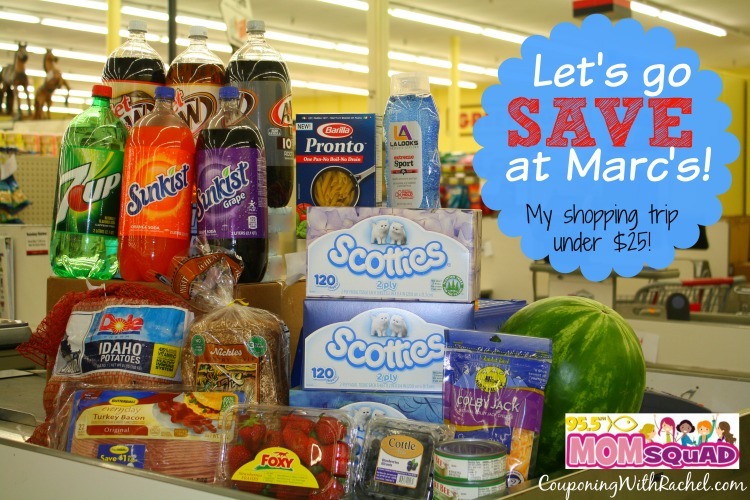 I’m back from a refreshing vacation in the Outer Banks and I stopped into Marc’s to grab some deals! I stocked up on lunch meat, snacks and even school supplies. I spent UNDER $25 and got all of this below! Be sure to look for this post every week where I’ll share the best Marc’s deals. ** My packages came to $3.09, not quite a pound. **Lots of different colors and sizes available. Prices will vary. The “Back to Schools” deals are in full swing and Marc’s has us covered. When I was browsing through my local store, I saw markers, glue sticks, folders, pencils, book bags and even lunchboxes. Marc’s carries both name brand and off brands but both are great prices! Originally posted by Rachel Krych on Couponing With Rachel. 3 Piece Vanilla Bath Set – $0.99 – great for your gift closet! great price for printing all your coupons! Check out my shopping trip at Marc's this week. I spent UNDER $25 and got all of this below! Be sure to look for this post every week where I'll share the best Marc's deals. Tune in on Friday mornings at 7:45a.m. to the Len and Sara Show on 955 The Fish to hear me chat about my weekly shopping trip! As a part of the 955 The Fish Mom Squad, I'm here to help you save! 3 Piece Vanilla Bath Set - $0.99 - great for your gift closet! Check out my shopping trip at Marc’s this week. I spent UNDER $25 and got all of this below! 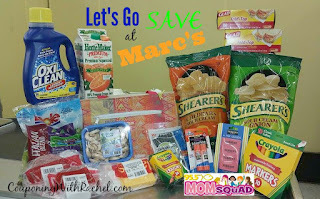 Be sure to look for this post every week where I’ll share the best Marc’s deals. We are gearing up for a holiday weekend and I ran to Marc’s to grab some goodies. For the party we are attending, I’m taking along watermelon, corn on the cob, salad and chicken breasts to cook on the grill. Remember, each week I’ll be sharing my Marc’s shopping trip and showing you how I got it all for under $25. Here’s my Marc’s shopping trip under $25. These deals are valid through Tuesday, 7/7/15. Want more Marc’s deals? Check out the Marc’s matchups here! The matchups list all of the deals in the ad and are matched with any available coupons. I can't wait to share my Marc’s shopping trip this week. As always, I've kept my shopping trip under $25 but this week I bought fruit, bacon and a ton of pop to bring to my church's picnic. Tune in on Friday mornings at 7:45a.m. to the Len and Sara show on 95.5 The Fish to hear me chat about my weekly shopping trip! As a part of the 95.5 Fish Mom Squad, I’m here to help you save! Here’s my Marc’s shopping trip under $25. These deals are valid through Tuesday, 6/30. Bonus Buy! Got kiddos? Keep your eyes peeled for these packages of Bunch O Balloons in your Marc's closeout section. These 100 ct packages make creating water balloons super easy. Simply connect the water hose and they fill up within 60 seconds. Best of all they tie themselves! Perfect for summer fun! While strolling around the Marc's closeout section, my oldest also found these LARGE play glasses for only $0.59. How could I say no? Deal!